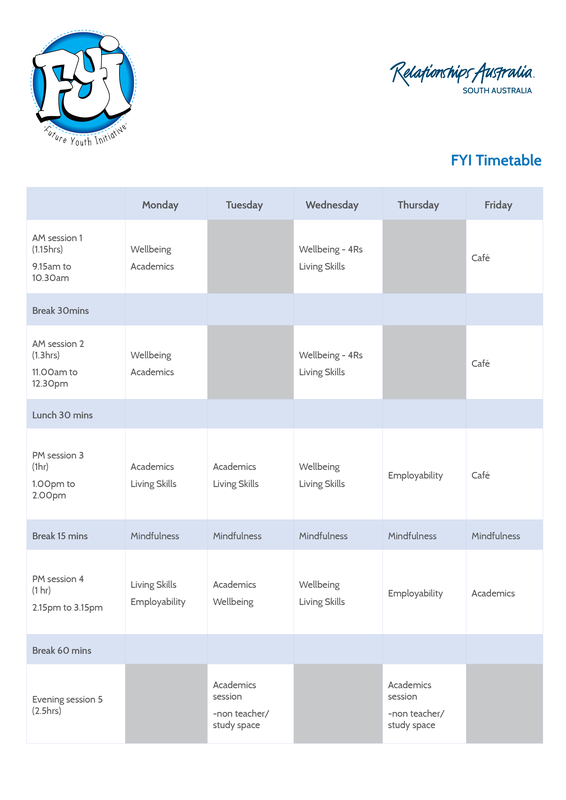 Young people may mix and match sessions from one or all of the courses to structure an individualised timetable to fit with their individualised plan. Young people may choose to attend the Hub for one to five days per week. Flexible start and finish times are available for late risers or students who have other commitments. Students set their own goals and tailor their timetables from programs in one or all four of our course lines. Places are limited, get in touch soon to find out availability. Download the FYI Brochure here for more details.